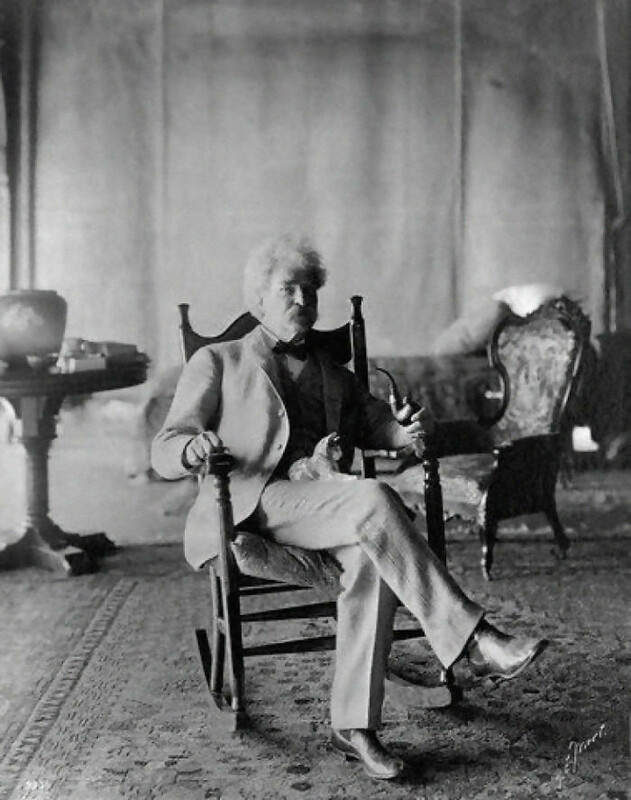 American literature icon Mark Twain was born Samuel Clemens in 1835. 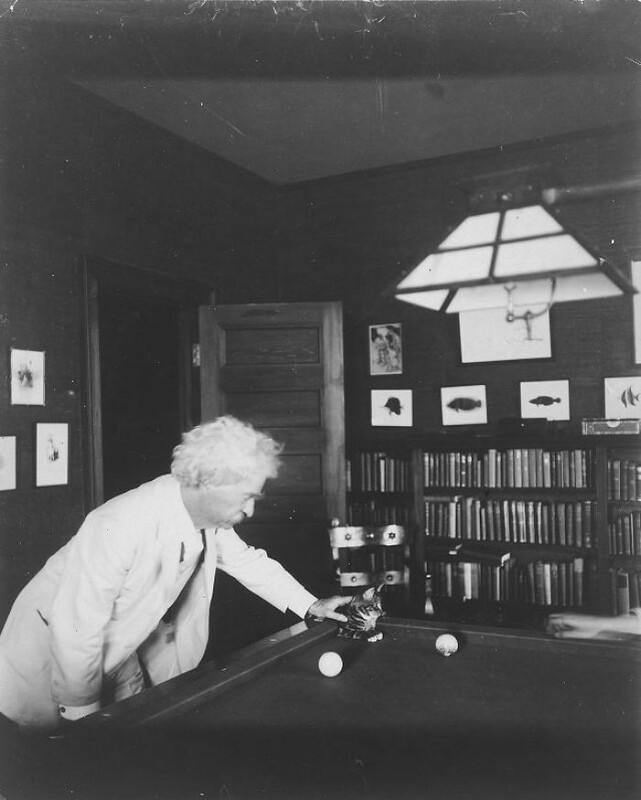 Twain was known for many things, most especially his most iconic novels "The Adventures of Tom Sawyer," and "Adventures of Huckleberry Finn." He was lauded as the "greatest humorist this country has produced," and fellow novelist William Faulkner called him "the father of American literature." 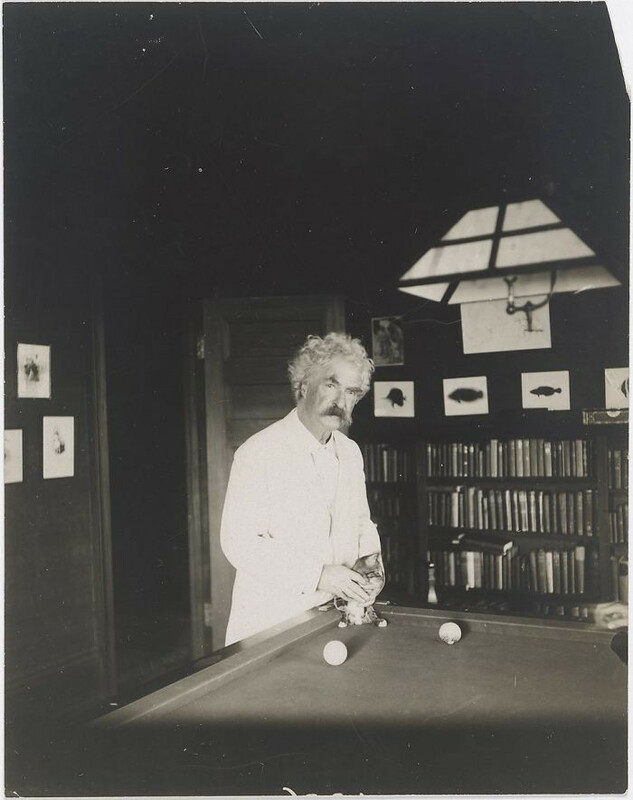 Mark Twain's life was colorful and littered with fascinating life experiences, many of which propelled him deep into his career as a writer. The trivia and fascinating tidbits we know about him definitely help us appreciate his skills and talent as a writer but as we've discovered his apparent and undeniable fondness for cats, we suddenly feel a deeper connection... because we all know that love of cats. 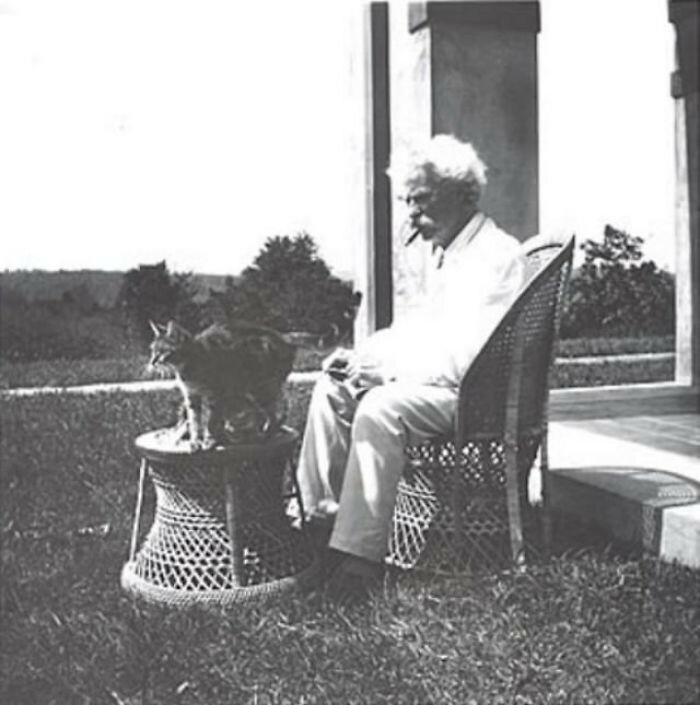 Sitting with a kitten, we wonder if Mark Twain found himself conversing with the little mews the same way we do today. 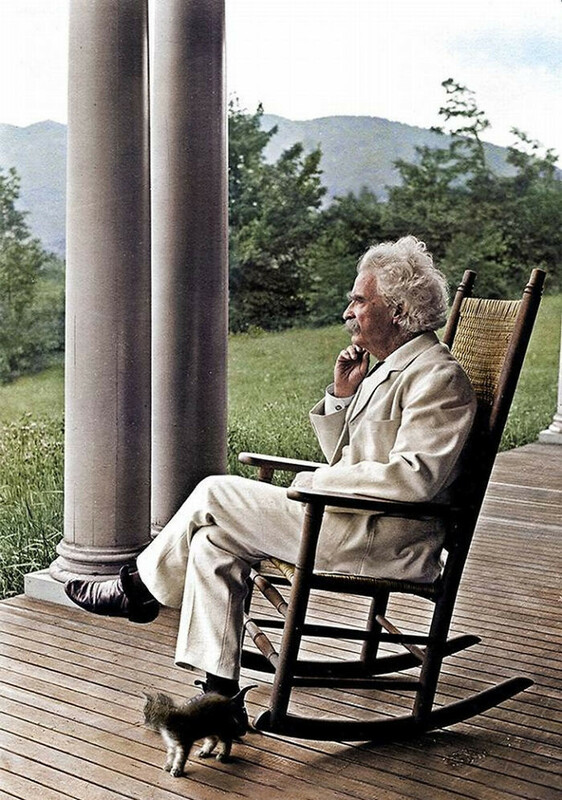 Mark Twain was born shortly after the appearance of Haley's comet. He once joked (or predicted, depending on your perspective) that he would "go out with it" as well; he died the day after the comet returned. 4. No, he really loved cats! Over the course of his life, he had up to 19 cats and each one had a unique and adorable name: Apollinaris, Beelzebub, Blatherskite, Buffalo Bill, Satan, Sin, Sour Mash, Tammany, Zoroaster, Soapy Sal, Pestilence, and Bambino. 5. Was his love of cats really a secret? It was more of a lesser known fact but indeed it was known. 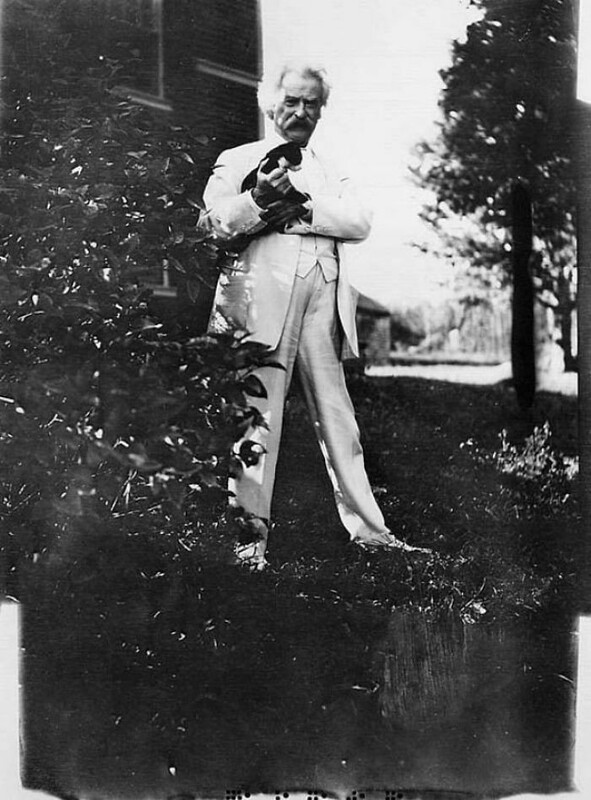 In 1910, 6 years after his death, Concerning Cats: Two Tales by Mark Twain came out. The book tells two stories about cats and he reportedly would read the stories to his daughters to help them all asleep. He didn’t wish to own them, for then he would have to leave them behind uncared for, so he preferred to rent them and pay sufficiently to ensure their subsequent care. 7. Cat love, companions abound. 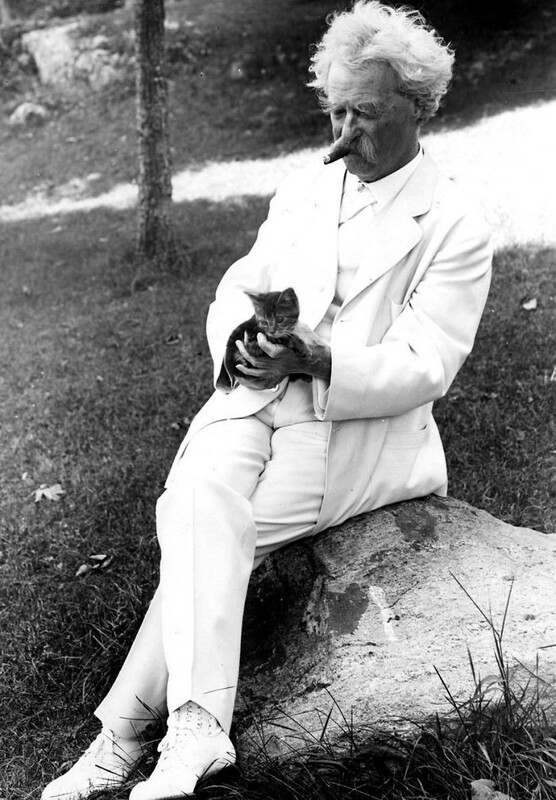 Mark Twain isn't the only 19th and 20th century author to have a distinct fondness for cats. Ernest Hemingway, T.S. Eliot, and Patrica Highsmith were all also known for loving their furry feline friends. 10. 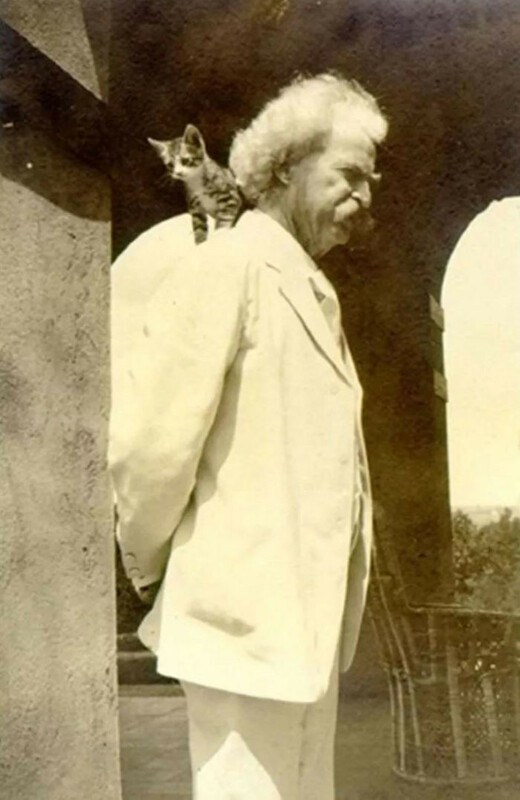 Mark Twain wrote about cats more often than we realized. Bambino returned on his own. 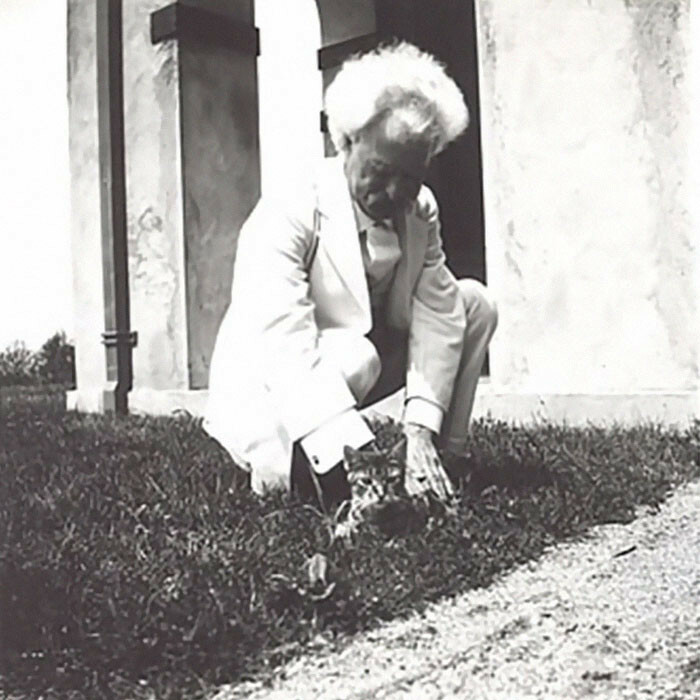 Mark Twain's final resting place is at Woodlawn Cemetary in Elmira, New York. However, we suspect his experience in the potential afterlife must involve frolicking with all the cats who need a love like his. 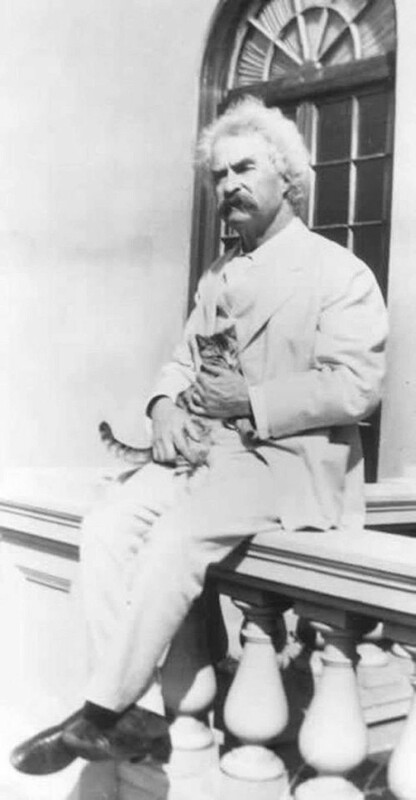 As more people learn about Mark Twain's love of cats, more people are re-discovering their love of Mark Twain. For some, this is just another reason to love the author! Reasons to like him even more? Cats are the purr-fect reason to like anyone more than previously thought. 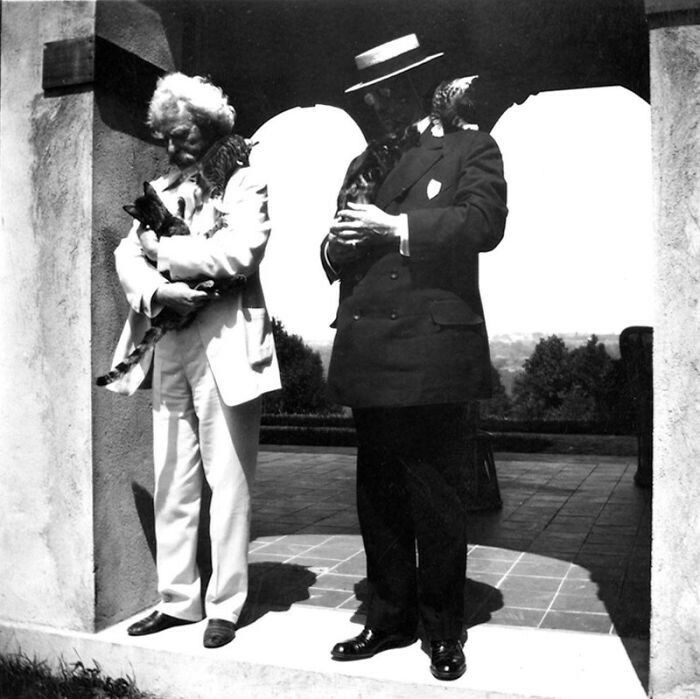 Of course someone like Mark Twain would love cats, it makes purr-fect sense. 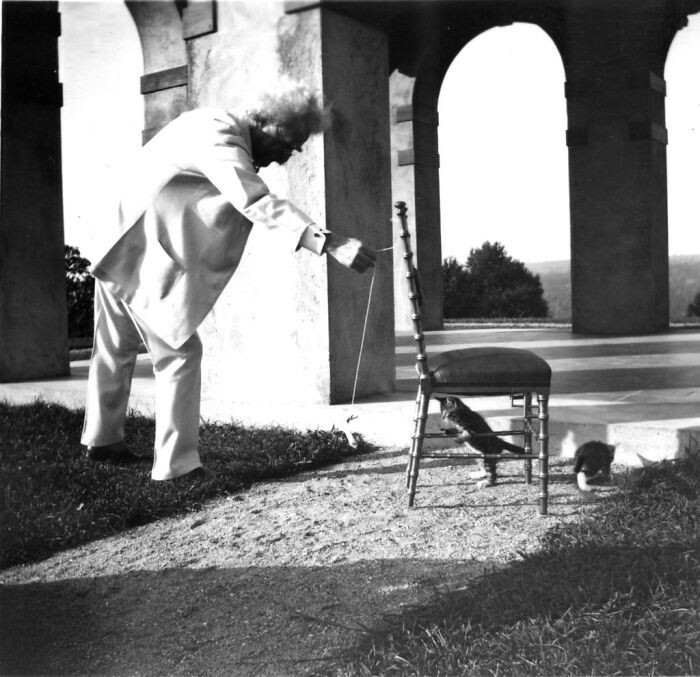 We're sure Twain saw many awful things growing up in the late 19th century, cats are such a happier place. We'll take this one to heart! All the love and head boops. Suddenly, Mark Twain may be a bigger hero to you, too!